Red Morton Park in Redwood City, CA – Target Technologies International Inc. The Red Morton Park synthetic turf replacement projects for Mitchell, McGarvey and Griffin Fields continue with an expected spring completion – despite the uncooperative weather. 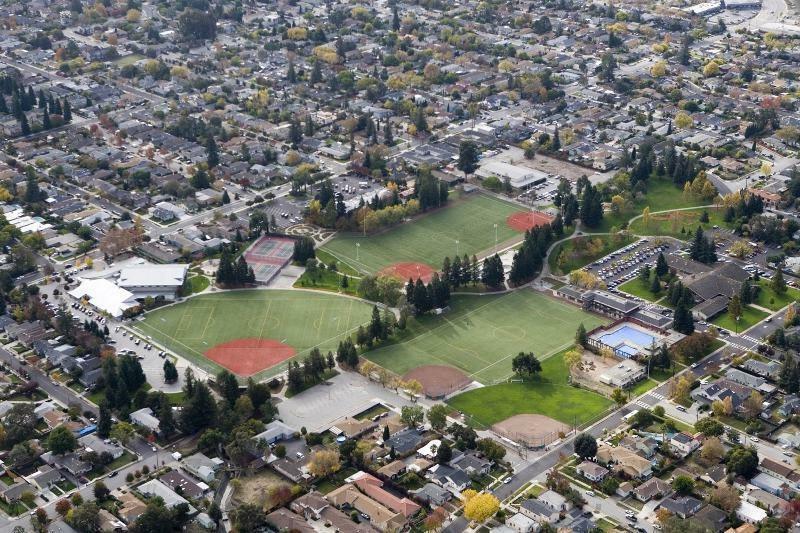 This beautiful park is getting a major renovation including resurfacing of tennis courts and improved lighting, replacement of the asphalt at the tennis ball wall, new little league batting cage, and new field lights for Mitchell (49er) Field. Included in the Mitchell, McGarvey and Griffin Fields is TTII’s high quality infill sports field sand. Email us for a quote direct to your project.